Images; Proenza Schouler SS2011 via thefashionspot, Flag via SRC783, Lilac Lips via Lime Crime, Pastel Doc Martens via weheartit, last image via weheartit. Can we call this retro pastels? Not sure yet if the colors are 50’s or 90’s inspired, both I guess..
ps. This last image makes me crave for some pearl-shine nail polish! this is gorgeous! the colors are perfection. Oh my god all these pictures are so beautiful!! I love the pastel colors!! Great continuation and thanks to share all that with us! What a great post. I’m totally in love pastel colors. Definitely great for 2011. YES!!! I love he stockings! loving that lipstick already! I must get myself one.. awesome blog.. stay cool..
Those lips just embody perfection. So beautiful, and the tights in the last pic are so cute! Going to polish my nails now – pearlshine! Cute shoes!! and beautiful pics. wooow, it’s really great! especially PS S/S11 and pastel american flag! Pastel is gorgeous ! 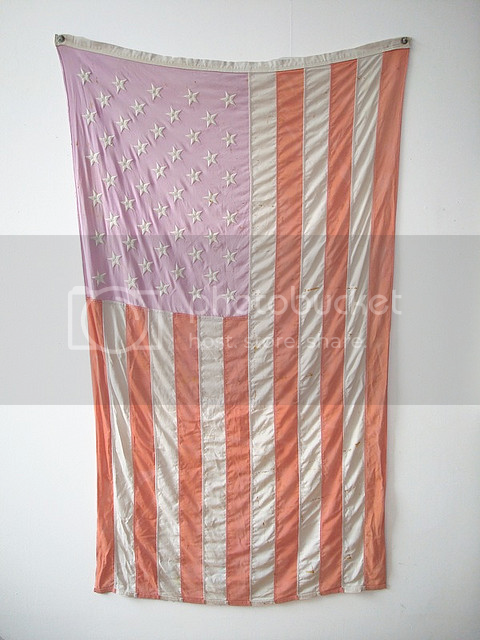 I would love to have that flag hanging on my wall ! Très jolie tenue ! très chic ! Inspiring pics, I’m not quite a pastel color fan but why not trying? Have a nice week! OMG That colour on the lips is insane!! I want that!! Will look weird in real life, but I don’t care!! And the pastel shoes… aaaah! Thanks for sharing! Love it! I love pastel colors. The doc martens are amazing! I really love the colors in the first image. They are so soft and perfect. That pastel flag inspires me every time I see it. those purple lips are beautiful! Beautiful inspiration ! This color palette makes me so excited for spring ! doc Martens are so Beautiful ! Ah, such great photos! That flag is intense. Amazing pictures really nyc work.